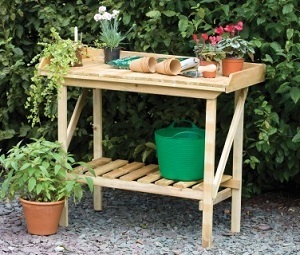 Save your back and treat yourself to a potting table. Not only an attractive addition to your patio or garden but also a really practical way of planting your seedlings or planting on your plants without the need for bending. Choose from our range of pressure treated potting tables and potting benches in several sizes to suit your needs.